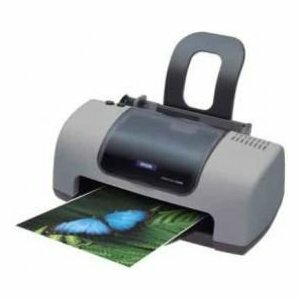 The Epson C-42SX is highly regarded for it's high quality prints and reliability. The time will come when your Epson C42SX will run out of printer ink, and when it finally happens you'll know that buying Epson C42SX ink can be costly. But you have no need to get stressed about dishing out the high purchase prices you'll find on the main street because now at Cartridge Save you can order all the Epson C 42SX cartridges you will ever want at very low prices. Start to save money on your ink by ordering with Cartridge Save! Why waste money to buy the C-42SX original cartridge or C42SX compatible ink in the high street when it's simple to save a bundle of money buying with Cartridge Save. You have total satisfaction when you order your Stylus C42SX ink cartridges from us seeing as each one is protected by a cast iron money back guarantee. Don't forget to take into consideration that every single order also has free delivery, usually arriving the next working day! More often than not, a printer will offer much more than just print outs these days and the Epson Stylus C42SX certainly lives up to these credentials. After all, why would you want to buy a printer that merely prints when you could own one which also scans, for example? Here are a brief rundown of the pros and cons where the Epson Stylus C42SX is concerned, something which will hopefully allow you to get to grips with this fine item a little better. Utilising the popular concept of a lifting lid which conceals the scanner component of the printer, the Epson Stylus C42SX comes in a stylish black finish and is well thought out in terms of its user interface. In fact, other than a fairly chunky exterior, there is nothing about the design of Epson Stylus C42SX which needs to be, or perhaps could be improved upon. The advantages which come from owning an Epson C42SX are certainly plentiful. The C42SX printer produces very good image quality. Colours are clear, text is bold and crisp and the other aspects of this printer, such as scanning, also work very effectively which makes the Epson Stylus C42SX an all-round winner of sorts! In truth, the only drawback to the Epson Stylus C42SX is the ink usage, but it is certainly no worse than any other item on the market that we can think of at this time. All in all, the Stylus C42SX is a very effective and easy to use Epson printer.